As summer comes to an end and fall and winter make their debut, it’s time to start thinking about preparing your home for the colder months. According to The National Weather Channel, this winter is predicted to be one of the coldest and snowiest winters to date. There are many “to-do’s” to check off your list in preparation for the chilly season ahead. Here are Portella’s top helpful reminders for staying cozy as temperatures cool down. Energy-efficient windows are a must-have to reduce your home’s energy consumption and prevent heat loss along the way. There are many different choices when it comes to energy-efficient windows, including thermally broken windows. With thermally broken windows, a high-performance insulator separates two metal halves – whether that be brass, aluminum, or steel. The vacuum created between the different panes works as insulating material and hence eliminates energy loss. Since it is difficult to create a perfect vacuum between the panes, insulating gases are often filled between the panes to reduce energy losses. In the colder months, the heat from your home will naturally flow to the colder areas of the home – from unheated attics to indirect flowing through interior ceilings and walls. Properly insulating your home will decrease heat flow by providing resistance to the flow of heat. Simply put, your home must be properly insulated to prevent your heating system from doing double the work. In addition to the above, there are simple measures you can take to prevent cool air from sneaking into your home. Check the weather stripping throughout your home to prevent cold air from finding its way in and affecting the temperature in your home. Clean the window sills and moving parts around your windows to improve the performance of your windows and doors. Repair damaged exterior surfaces by checking for weak spots in the foundation including deteriorating sidings or a cracked roof. Install snap-in blinds or shades to provide a barrier to the cold. 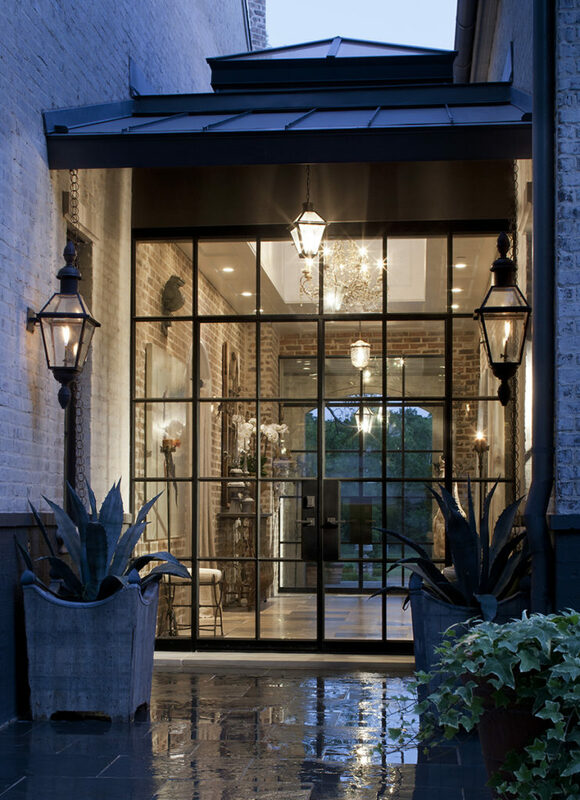 Portella’s Thermal Steel Windows and Doors exceed all current energy efficiency requirements. By coupling modern, classic, or traditional, Portella’s Thermal Series delivers robust durability and suitability for even the most demanding climates. Our Thermal Series offers the narrowest sightlines of any Thermally Broken product available while complying with the most demanding climatic environments. Contact Portella today for a custom quote.